Obituary for William E. Kennedy | Brooks Funeral Home and Cremation Services P.C. 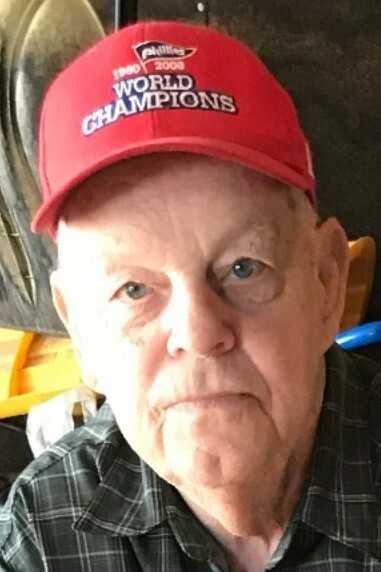 William E. Kennedy, 81, of Williamsport, formerly of the Elimsport area, passed away peacefully Friday, February 1, 2019 at Valley View Rehab and Nursing Center. Born May 16, 1937 in Watsontown, he was the son of the late Ernest R. and Olive (Ranck) Kennedy. On April 18, 1959 he married the former Marie E. Murray and they have celebrated 59 years of marriage. He was a 1955 graduate of Montgomery High School and a member of St. John’s United Methodist Church, Elimsport, where he had served on the church council. He was an avid Notre Dame, Philadelphia Eagles and Phillies fan and enjoyed hunting, jigsaw puzzles, and playing cards. He loved spending time with his family and grandchildren and looked forward to attending his grandchildren’s sports activities. Surviving besides his wife, Marie Kennedy, are two sons: Mark A. Kennedy and his wife Deb and Matt W. Kennedy and his wife Jennifer, all of Montgomery; a daughter, Shari A. Kennedy of South Williamsport; six grandchildren: Lance, Jenna, Travis, Loryn, Eric, and Trevor; six great-grandchildren: McKenna, Brantley, Blakely, Parker, Owen, and Kennedy; and two brothers: Fred L. Kennedy of Red Lion and Gerald Ranck of Montgomery. He was preceded in death by a sister, Jan Charlene Irwin. Family and friends are invited to call from 10:00 AM to 12:00 Noon on Thursday, February 7, 2019 at St. John’s United Methodist Church, 715 Pike’s Peak Road, Allenwood where a memorial service will be held at 12:00 Noon with Pastor Michael A. Hill officiating. Burial will be held at the convenience of the family. In lieu of flowers, the family suggests contributions in his memory be made to his church.